Does your eLearning course have what it takes to achieve the desired outcomes? In this article, I’ll highlight the top 10 Instructional Design elements that no eLearning course is complete without. Designing an eLearning course is not an easy task. Even if you’re using all the latest and greatest eLearning authoring tools, you’re sure to hit snags from time to time. Thus, it’s only natural that eLearning professionals might forget one or two things along the way. Fortunately, this article features the 10 most important Instructional Design eLements that your eLearning course should have. You can use it as a checklist to ensure that everything’s in order before the big launch. It all begins with clear learning goals and objectives. The entire eLearning course design process is fueled by these core components. They keep your eLearning team on track and ensure that every eLearning activity, assessment, and multimedia element achieves the desired outcome. Your learning goals and learning objectives depend on the needs and expectations of your online learners. In other worlds, what they want to get out of the eLearning experience. Which skills do they need to develop in order to achieve their personal goals? Will the information help them overcome a challenge or benefit their lives? Intuitive eLearning navigation pertains to every aspect of your eLearning course design, from start to finish. Online learners MUST be able to get through the eLearning course with ease. Your icons should be clear and visible, not hidden among the chaos of text blocks and images. All of your links should be active and relevant. If your interface is difficult to master, create tutorials and walkthroughs that help online learners through the process. For example, eLearning videos that show them how to login to the Learning Management System and access the eLearning course materials. Above all else, never automatically assume that online learners are tech-savvy. Provide clear instructions for those who are new to eLearning and need a helping hand. Human being like visuals. In fact, we need visual stimuli in order to retain more information and store it away in our long-term memory. As such, visual stimuli is an integral eLearning course element. This includes eLearning infographics, images, graphics, and videos. Even the color scheme of your eLearning course should align with your brand message and the subject matter. If your eLearning course currently has an abundance of text, consider chunking the eLearning content and converting it to eLearning visual graphs and charts. Modern learners love multimedia. It's a simple fact. eLearning videos, demos, online presentations and slideshows form a deeper connection with your online learners. It also serves as entertainment, thereby increasing online learner engagement and motivation. If you don't have the eLearning budget to create multimedia from scratch, consider embedding external online resources. For example, YouTube videos that highlight a work-related task. Real world eLearning activities are an off-shoot of the previous tip. These are multimedia elements that include interactive elements, such as drag-and-drop interactions or game mechanics. eLearning scenarios, simulations, and serious games are some of the most effective eLearning activities. Each has the power to emphasize the real world applications and benefits of your eLearning course. They also allow online learners to gain experience in a supportive environment, as every mistake is a valuable learning opportunity. Many Instructional Designers include eLearning assessments at the end of the eLearning course. But that doesn't give you the chance to track online learner progress. Which is why it's essential to test online learners at the beginning AND end of the eLearning course, as well as at strategic points throughout. For example, after they watch an eLearning presentation or complete a task-based eLearning activity. You can even incorporate self-assessments so that online learners can gauge their own progress and identify areas for improvement. Since we're on the subject of improvement, developing an effective eLearning feedback system is also vital. Online learners must know what they are doing incorrectly, how to fix it, and which online resources can help. More importantly, they should receive personalized constructive feedback on an ongoing basis so that mistakes don't turn into bad habits. Likewise, online learners who excel need personalized praise to stay on the right track and continue building their strengths. It's impossible to cover every sub-topic or skill in your eLearning course design. But you can still give your online learners the chance to explore on their own by adding supplemental links to external online resources. These online resources can range from news, eLearning articles and videos to informative websites. To keep everything organized, create a link list and divide it into categories. Then verify that your links are in proper working order on a regular basis. Content chunking improves knowledge retention and prevents cognitive overload. In essence, you break the information down into easily digestible eLearning modules or lessons. This involves grouping the eLearning content by topic or objective, and then creating bulleted lists or graphs to highlight the key takeaways. Ideally, every content chunk should support its own learning objectives and serve as a standalone eLearning resource. However, it should also align with the overall goals and desired outcomes of your eLearning course. Online learners are participating in your eLearning course because they want to solve a problem or achieve a goal. It's all about applying knowledge, instead of collecting as much information as possible. Hands-on demos give online learners the targeted information they need to get the job done, whatever that job might be. It offers them a visual model that they can follow and sheds light on the subtle details. They can also return to the demo time and again to refresh their knowledge and enhance retention. Does your eLearning course have these 10 crucial instructional design elements? If not, you may want to integrate them into your eLearning strategy before it’s time to deploy. 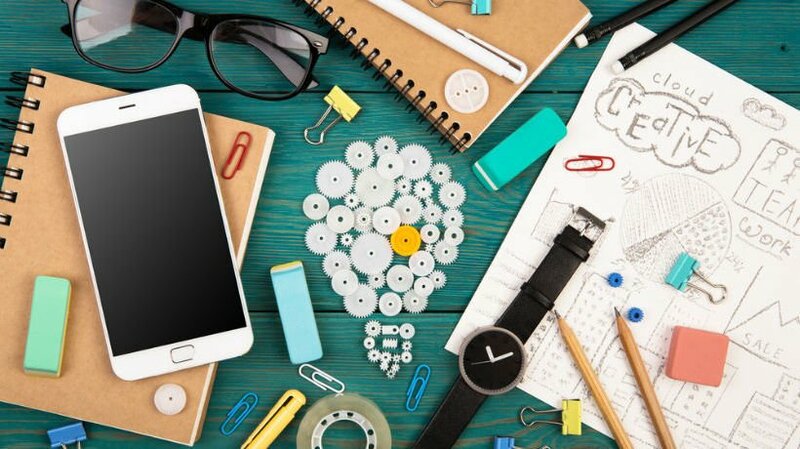 Better still, use this list of instructional design elements from day one to ensure that your eLearning course gets off to a successful start. Would you like to learn more about the Instructional Designer's job? Download the free eBook How To Become An Instructional Designer to discover valuable tips and advice from experienced eLearning professionals.